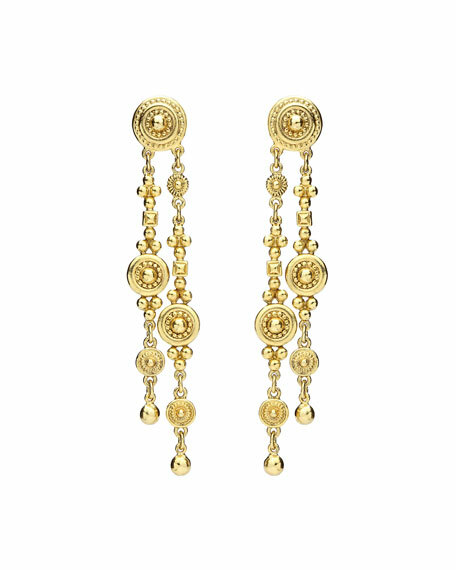 Ben-Amun double dangle drop earrings. Yellow golden plated pewter hardware. Two linear textured dangle drops.